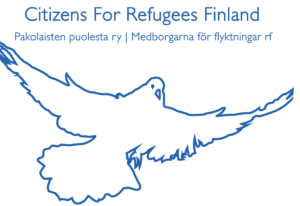 The aim of the association is to kick off and manage projects that help asylum seekers and refugees to integrate into the Finnish society, and to secure their rights, including human rights, during the asylum process. The project collects and maintains an archive of asylum seekers’ documents related to their asylum process. The database is used for several purposes, e.g as a data source for experts, scientific research, lawyers and the media. This project focuses on the legal protection of asylum seekers and refugees in Finland. Through data collection and extensive networking with lawyers and volunteers, the project coordinates legal action and provides guidelines that help ensure asylum seekers´ right to a fair asylum process. Currently the team is working on publishing an information bank with guidance material for easy access. The MigriLeaks blog strives to influence the public opinion and current immigration policies by telling true stories about asylum seekers and their asylum process in Finland. The lobbying team strives to increase politicians´and authorities´ awareness of human rights and the problems in the current asylum process and policies. This project collects information about country of origin information as support material for asylum seekers´ legal process, in lobbying and media collaboration. Collecting publications and other data sources started in autumn 2016. A new country of origin information research is currently under consideration, provided that a sponsor is found. The project aims to create a comprehensive network for all the organizations supporting asylum seekers and refugees, including volunteers and authorities. The purpose of the project is to improve the availability of immigrant services. The project will also work at grassroot level by organizing a weekly contact point for immigrants. This Facebook campaign group aims to mobilize citizens to take action against online hate speech. This is done by responding with fact-based counter-arguments and, where necessary, reporting hateful content. The campaign has been inspired by the pioneer group in Sweden called #JagÄrHär. The concept has been launched in several European countries. An educational and interactive theater to introduce Finnish culture and its peculiarities to asylum seekers was the very first project of the association (2016). The continuation of the project is currently under consideration as the association was forced to direct its resources to fight the new inhumane asylum policies introduced in spring 2016. The project may now be re-activated, with the aim of organizing training for immigrant women.